It can be used for 1 to 6 colors Pad Printing one time, convenient to pick up and takes off the work piece by the conveyer, Compared with the LC-SPM6-150/18, It can improve in the working speed; it has 22 precise working stations for good color-process. Applicable for printing flat & round surface, such as cell phone button, golf, toy, pens, PC mouse, and small electronic accessories etc. It is easy to operate and maintain, easy to replace ink, cleaning ink tray. 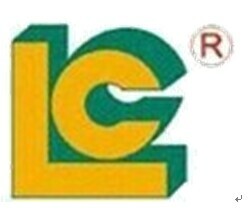 Luen Cheong Printing Equipment Group Limited has manufactured LC brand color printing machines for more than 25 years, including various Pad Printer, silk Screen Printer, Hot Foil Stamping Machine, UV Curing Machines and pre-post printing machine.We have passed ISO-9001-2000 certification in 2001 and are a member of SGIA and all of our industrial printers have EURO'S CE standard. Looking for ideal Pad Printer Machine with Conveyer Manufacturer & supplier ? We have a wide selection at great prices to help you get creative. All the Printer with 22 Working Station are quality guaranteed. We are China Origin Factory of 6 Color Pad Printing Machine. If you have any question, please feel free to contact us.